My Mother died on January 11th this year, at the venerable age of 95 and 6 months, and I miss her a great deal. I am not a kid (am a 50 year old female) but since she died, and as the first anniversary of her death approaches I am finding it increasingly hard to not despair (I miss her a lot, as do all my 7 siblings). Maybe as the youngest I feel her loss more, I'm not sure, but I feel I lost the best and only true friend I ever had. She was the one who defended me, who cared for me, and the loneliness I feel since her death is just so dreadful. Would the people who read this, please pray for me, that I have the strength to go on without cracking up worse and keep my faith. 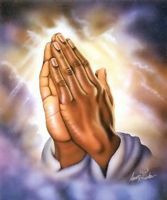 God bless to all who read this and hope your prayers are answered. My favourite saint is Padre Pio, I went to his canonization in Rome. So perhaps ask him on my behalf to give me strength and courage. I will pray that you find peace and joy from within, that you learn to let your mother go, to exalt her life in heaven, and that you take solace in your eventual reunion. I just lost my Grandmother, and feel desolate. But I know I will recover and lead a holy life that will make her happy.